AAA= AVAILABLE, easy to contact by voice, text or email; APPROACHABLE, feel comfortable when applying and throughout the process; ACCOUNTABLE, Zoe and her team always see your loan gets full attention and closes on time. Zoe is a true professional who takes the time to educate herself so she can provide honest and accurate answers to the tough questions. While the lending environment has changed significantly over the last few years and continues to be challenging, Zoe’s positive energy and can-do attitude stands out and is contagious. A majority of her business is generated through referrals and repeat clients. Zoe has called the Central Coast her home since 1999, when she moved from the San Francisco Bay Area to raise her three daughters and be closer to family. She has been married to Kirk for 29 years and in her free time loves watching San Francisco Giants baseball, attending local summer concerts in the park, touring the back roads of Paso Robles wine tasting and enjoying the beautiful beaches and hiking trails the area has to offer. 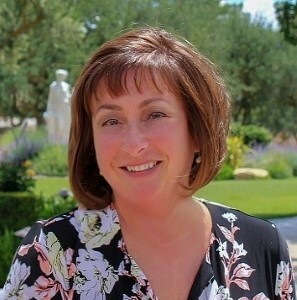 Zoe holds a Bachelor of Science in Business Administration from California State University, Stanislaus and is active in local charities, Chamber of Commerce and Board of Realtors. Contact Zoe today and experience the difference! Zoe could not have been more helpful, friendly and reliable throughout this whole process. We came in to it scared, overwhelmed and confused and she continually was there for us, guided us, and made the process as easy and enjoyable as possible. Zoe truly went above and beyond to walk us through everything and to be there for us with any and every question we had. Of all the parts of buying our first home, the escrow process was the smoothest thanks to Zoe. We can't recommend her enough. Outstanding advice and great work from her entire team. It was easy. Responsive to questions. Ready to finance your home? Contact Zoe Raithel today!